Hospitalizations account for nearly one-third of the total $2 trillion spent on health care in the United States. In the majority of cases, hospitalization is necessary and appropriate. However, a substantial fraction of all hospitalizations are patients returning to the hospital soon after their previous stay. These re-hospitalizations are costly, potentially harmful, and often avoidable. 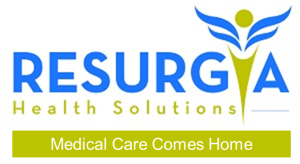 Click the link to see how Resurgia is addressing the best opportunities to improve transition care and play a big part in reducing re-admissions.